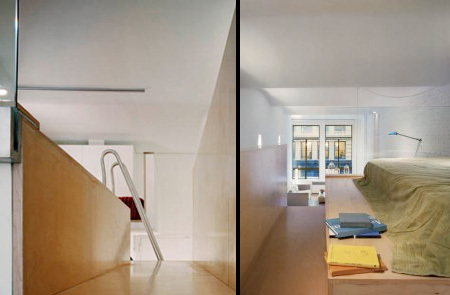 Innovative studio apartment designed by talented architect Kyu Sung Woo. 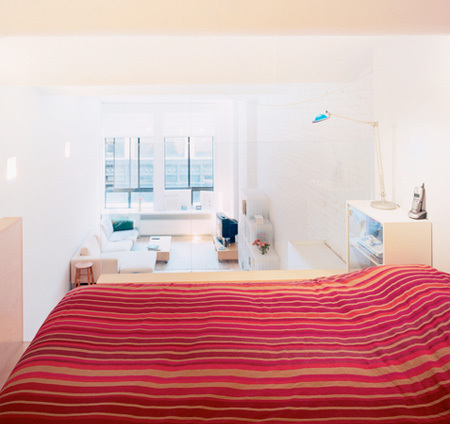 To maximize all usable space in this 700 square foot apartment, modern bedroom was constructed above the kitchen. 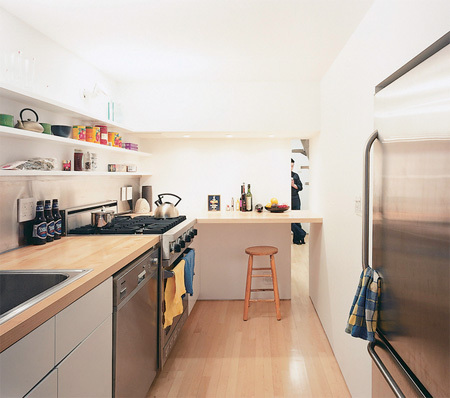 Horizontal surfaces were covered with maple wood and vertical surfaces were painted white. 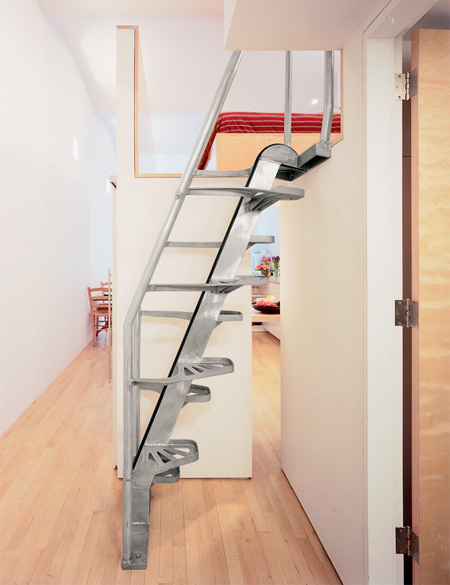 Looks like a great use of space and really makes 700 sq ft look that much more usable. Too bad there’s only windows on one side. No ventilation. not bad, but i did not like the stove under the bed for smelling reason, i would prefer a glidding floor for bed so when you r cooking you can move the upper part right or left. @Lilia – Apartments almost never have windows on more than one side. There’s units on either side and a hallway on the back for access. Still living at home are we? Who has CRT televisions anymore? I do! And I will until it breaks! 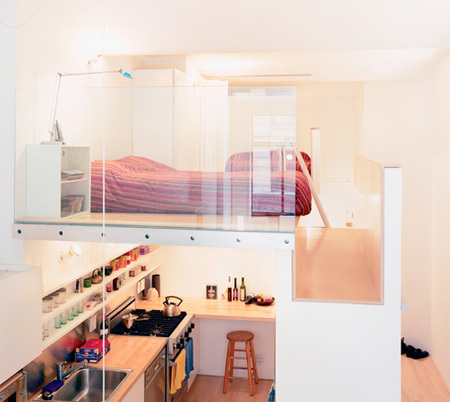 This is the loft I so desparately need. The kitchen should be the one separated and the TV area under the bed. Being smelly when you cook is not as bad as smelling like your food when going to bed. Insects would probably feast on you just because you smell that way. The Kitchen should be near the window and away from flammable bed sheets and clothes. Where’s the bathroom? I hope there is one. 700 sq. ft. is actually pretty big, by New York standards. Me and many other people around the world. i agree with most of the comments here. the kitchen should not be under the bed, when frying something or cooking basically the smell will rise even with a ventilation thing it will still smell. now if the tv was underneath that would be absolutely perfect. I think the bathroom is next to the kitchen. There is a door next to the stair, you can see it in one of the photos…that must be it. I could definitely live there.